Canon, Nikon, Sony, Fuji and more IR Cameras! Thermal Infrared (8-14 microns). These cameras see heat and are expensive costing $9,500 and up. For Ultraviolet (UV) cameras, please click here. A normal camcorder or digital camera can see from about 400nm to 750nm. Our modified camcorders and cameras can see from about 280nm to 1200nm. The infrared range right above the visible range (750nm to 1200nm) is also call the Near Infrared (NIR). Because CCD sensitivity is reduced at the extremes, practical range is approximately 325nm to 1100nm. Our visible / NIR cameras have been used in many scientific, industrial, educational, professional photography and security fields. Viewing plant stress, searching for mineral deposits, analyzing museum pieces, forgery analysis, surveillance, factory automation and thousand of other applications are possible with our cameras. Kodak used to sell the visible/NIR cameras DCS420IR and DSC460IR, but have discontinued their production. If you have a particular application and need assistance, please ask us. 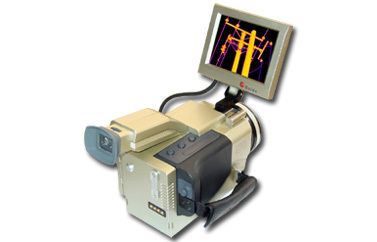 Thermal cameras see in the Mid IR (MIR) or Far IR (FIR) range. Although, technically, cameras in the 8-14 micron range are MIR cameras, many call them FIR cameras in order to distinguish them from the 4-6 micron cameras. 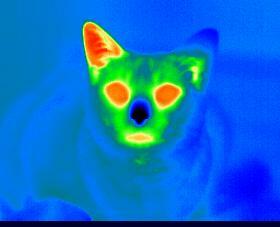 Thermal cameras use a completely different type of technology from consumer digital cameras and camcorders. Our thermal cameras use a Microbolometer Uncooled Focal Plane Array (MUFPA) image sensor while the consumer camera uses a Charged Coupled Device (CCD) or Complementary Metal Oxide Semiconductor (CMOS) imaging device. If you want to see heat, you need a thermal camera. You cannot see heat with an NIR camera that has a CCD or CMOS image sensor. This includes all of the Sony cameras, cameras with NiteShot, bullet cameras and Nikon cameras. If you want us to convert your camera, please fill out a conversion request form. We have specially modified Brand New Sony Camcorders that have full NiteShot capability with all shutter speed and aperture modes working. In an effort to stop people from using the Niteshot feature in daylight situations, Sony limits the minimum size of the aperture when in Niteshot mode on every currently produced Handicams camcorder to prevent voyeurs. On some camcorders, Sony sets the aperture to full open. On some recently tested models, Sony just limits the minimum aperture size. Our testing has revealed that you can now use IR filters on most new camcorders in Niteshot mode in many situations. In addition to selectively passing mostly infrared light, our filters reduce the normal viewable light so that the camera thinks it is filming at night and the Niteshot mode can be used during the day! For some example pictures showing our filters with a normal Sony camcorder, Click Here. Without using an IR filter, Sony has also limited the legitimate use by experimenter, photographers, law enforcement personnel, surveillance and even the functionality of the camera during low light situations. We also have modified cameras that restore all functions. Not only do you get all-mode Niteshot (enabling the X-Ray effect), but you can also use the camera as a regular camcorder. In normal mode, the picture is normal. All normal functionality is retained. Our cameras, except for the Digital Still DSC-S30, do not need a color correction filter for correct color balance of normal photography (like those with the ICF/IR Blocking filter removed) and the IR LED's work in Niteshot mode. Our cameras do not lose any functionality! 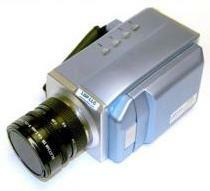 All of our cameras and camcorders are NTSC except for the Sony DSC-S30 which can be switched to NTSC or PAL internally. NTSC is the USA, Canada, Mexico, South America and some other countries. PAL is most of Europe. There is also a SECAM format used in eastern-block countries, but we don't have any SECAM equipment. Runs for 24 hours on internal batteries. High-resolution self contained display. Just connect to a video source. TIR1,TIR2, TIR3, TIR4 Color Thermal Infrared Camera: 8 - 14 microns! Our Thermal IR Cameras have a MUFPA image sensor and can see from 8-14 microns (8,000nm to 14,000nm). It can store 1,000's of images to a compact flash card or internal memory for subsequent analysis with included software. Each image has 19,200 or 76,800 temperate measure points which can be assigned to user defined color pallets. Camera has a NTSC video output. Thermal cameras can be used for non-contact temperature measurement, quality control, roof inspection, electrical circuit panel preventative maintenance, machine inspection, veterinary diagnosis and thousands of other uses! The stealth camera is a miniature black and white camera about the size of a lipstick. The camera has a built IR filter. One cord exits that back of the camera and then splits into a power and video jack. A permanent swiveling mounting bracket is included. The IR B/W Board camera is only for those people that are comfortable creating your own enclosure for the camera and following the instructions for connecting the three wire for Power, Ground and Video Signal. The camera has built-in IR LED's to provide its own illumination allowing you to see in complete darkness without any external visible light or additional IR illumination. If you have a particular camera or camcorder you would like to see us carry, enter the model number desired below and press the submit button. If we get enough requests for a particular model, we will see if we can re-enable that particular model.